If your New Year’s resolutions involve getting yourself into shape and sorting out your diet then don’t underestimate the positive effects of caring for yourself on the outside too. Rewarding all that exercise and healthy eating with a regular home spa session is the perfect way to give yourself a little treat that won’t pile on the pounds. Stuck to the diet all week? Pamper yourself with a gorgeous mask or new lipstick. Hit your exercise goals? Why not treat yourself to a new body brush or arnica massage oil to help soothe your muscles rather than rewarding yourself with a chunk of cake. These are treats that will build on your progress to date and make you feel even better. 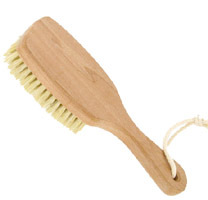 Dry skin brushing is the perfect way to invigorate your skin. Long firm strokes towards the heart with a firm dry brush increase the blood flow; slough away dead skin cells, and leave skin glowing. Add dry skin brushing to your daily routine before your morning shower and be amazed at how quickly skin becomes softer and smoothed. Much as we would love to have a personal massage therapist on hand, let’s be realistic, it’s just not going to be happening daily. However, that’s no reason to forget about massage altogether. 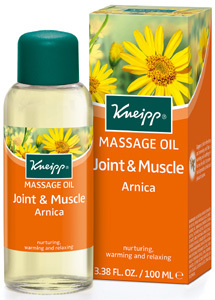 Self massage with organic body oil can be extremely therapeutic. Applied to damp skin after a shower organic body oil will help to trap hydration in the skin and because it’s pure oil, it delivers more intense moisture than a body lotion could ever do. Perfect if your skin is prone to dryness. Take a little extra time to massage your feet, lower back and places where you hold tension and feel truly nurtured whenever you need it. Every time I eventually get around to using a face mask I wonder why I don’t do it more often. The best way is to cleanse thoroughly, use a face scrub and then apply the mask and let it do it's work while you lie back and relax in the bath for 15-20 minutes. Rinse off and moisturise all over before heading off for an early night – Sheer heaven! Diary an appointment with your bathroom 1-2 times per week for a relaxing soak and mask session, it never fails to leave you feeling pampered. Just writing this makes me want to go out for a run and then come home for a pamper session. Wishing you lots of motivation for your New Year, New You routine. Stick with it and you will get there. Don’t try to overhaul your life overnight, instead focus on making one small change at a time. Over time those small changes will add up to a big transformation. Don’t give up -and remember to reward yourself for your efforts along the way. Happy New Year!